Thomas Ashley-Farrand is the preeminent authority on yogic mantras. In Chakra Mantras, he brings previously hidden knowledge from India and Tibet and teaches us through the use of mantras how to activate our secret chakras, which contain the keys to our spiritual progress. "Located along the spine, the chakras process energy for all of our waking activities, and during sleep they provide energy for healing and cleansing the physical body. But there is another, higher octave of functioning that these chakras can achieve, if they are given higher states of spiritual energy in which to operate. This higher octave provides paths for spiritual development that ultimately lead to spiritual liberation or freedom from karma. A powerful method for charging the chakras with higher energy is through the use of Sanskrit mantras." 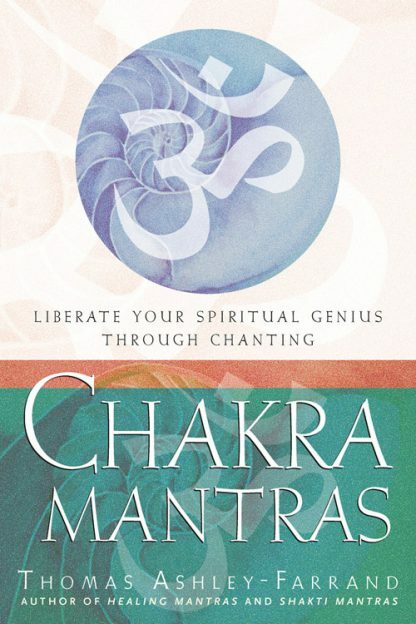 With energy-invoking tools, stories from India's ancient tales, and amusing anecdotes, Chakra Mantras provides the information needed for fueling spiritual advancement through the use of healing sounds and chakra mantras. Thomas Ashley-Farrand is one of the West's foremost authorities of Vedic and Buddhist Sanskrit mantras. He has been recognized for his flawless mastery of mantra practice and has gathered more than 8,000 transliterated mantras--the most comprehensive body of these sacred-sound syllables in the English language. He is also the author of Healing Mantras and Mantra Meditation. He lives in Northern California.